I've been wanting to post about this for a while, but thought I needed to take my time with it because these are lessons from my mother and father about raising their children. A lot of people are lucky enough to have amazing parents that they emulate, but I don't know that many of them get the opportunity to learn these kinds of lessons from their parents. I was lucky enough to visit my parents after Christmas this year and attend church with them when they taught the lesson in Relief Society and Priesthood combined. The topic of the lesson was "How to prepare our children to withstand hard times." After raising twelve kids who are now grown up and all still strong members of the Church of Jesus Christ of Latter-Day Saints, experiencing the loss of one son when he was 18 years old, as well as experiencing other trials, Mom and Dad have learned a few things about making it through the hard times and teaching their children to do the same. "We have been asked by the Bishopric to talk about hard times. This is easy for me because I never saw a silver lining that didn't have a dark cloud attached." Dad has always been really good at keeping us grounded in reality and working hard even when times are tough. Mom has always been really good at reminding us to stay positive and have perspective through the tough times. When I was in labor with Chelsea, Mom was there, and you'd better believe that she was telling me to think of the pain as good pain, because it was leading to a wonderful result. Although this is true, it didn't help me too much. I'm probably more like my dad. These differences have made Mom and Dad a really good couple, or my dad would probably say, that's what has made him a better person. I think it also makes them really entertaining. Dad started out the lesson by sharing a few of the trials our family has experienced together, ranging from losing his job a couple of times (April 15th is a STINKY time to lose your job as an accountant), to losing a son the day before his High School graduation and Mom being diagnosed with cancer and undergoing 24 weeks of chemotherapy. There are others. Just like with every other person out there, there are never just a few. With each experience, Dad learned something about himself, and his relationships with Mom, his children, and most of all, with God. He and my mother learned to rely on the Holy Ghost. It was during those hard times, particularly when our family lost my brother, Steven, that they learned why the Holy Ghost is called "The Comforter." Selflessness - Some days, Dad would come home from a hard day at work, only to find toys and other items all over the floor, children running all over the place (12 kids, remember? ), and a lot more work to be done. At first, Dad would get exasperated and irritated that he had to come home from a rough day at work to a rough night at home, but after some time, he learned that it was better for his relationship with Mom if he would take a minute to get down on his knees... And start cleaning up toys. No angry words - When one of my brothers was little, he came to my mother crying because his older brother had said the "SH" word to him. Mom took him aside and asked him to whisper in her ear what the word was, to which he responded in a quiet whisper, "Shut up." It takes two to fight, and if you're having a problem with this, follow some advice from Dieter F. Uchtdorf, the second counselor to the President of the Church of Jesus Christ of Latter-Day Saints... "Stop it." "If you don't have the kind of marriage you want to have, CHANGE. How? Change yourself. If you keep doing what you have always done, you will get what you have always gotten. To me, Hell would be to live out eternity without Cathy." And with that, Dad handed the lesson over to his best friend, my mother. "We were able to draw upon the powers of Heaven through prayer and priesthood blessings. We recognized the power of the atonement to comfort and bless us. We felt the fruits of the Spirit in our home and it 'carried us along.'" "It was our testimonies and the 'little things' we were in the habit of doing that prepared us to receive the tender mercies and comfort of the Holy Ghost in our home which blessed each member of the family." Mom took some time to share an excerpt of a letter that one of my siblings had written for her. In the letter, he spoke about Steven's death and how it took a huge toll on our family, how sad we all were, and how much we missed our brother. Steven died on a Friday, and not once did this sibling question whether or not we would be at church on Sunday. Our family attended church, no matter what. There are a lot of things that drive the spirit away from our lives and our homes. After outlining a few of them, Mom focused on what we can do to invite the spirit into our homes, to prepare us for the hard times ahead. Prayer (personal and family) - One of my siblings was having a hard time in school. She was in third grade and coming home every day crying because the other children didn't like her and she was not doing well in school. Mom gave it a lot of thought and prayer and she remembered a previous president of the Church of Jesus Christ of Latter-Day Saints, President Tanner, had said that the solution to every problem could be found within the principles of the gospel of Jesus Christ. Almost immediately, Mom knew what was needed. She proceeded to take this daughter out with her for the next several weeks and serve others. They visited an elderly widow and baked cookies for someone. She was shy about doing it and it took some courage for Mom, too, but before long, "things had dramatically improved and she reported that she had a best friend at school." Family prayer was almost a crisis for our family of 12 sometimes! It was during one of these crises that our family came up with the saying, "10 seconds of silence!" But I know that these family prayers helped bind us closer together as a family, draw us closer to the Lord, and prepare us for the hard times ahead. Family Home Evening - Teach about what the Spirit is, its purpose, and what it feels like. Scripture study (family and personal) - You can even come up with ways to help the children look forward to scripture study. Sometimes, we would read the entire chapter backwards, read one word at a time, give "word assignments" where a certain individual raises his or her hand when they hear a certain word, etc. etc. 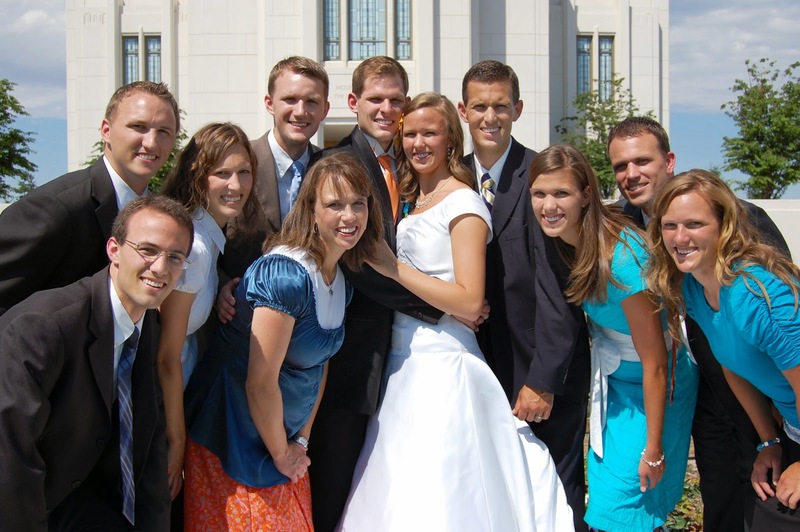 Full activity in church and activities - Including primary, young men, young women, relief society, priesthood responsibilities, seminary, and other activities. Also, attend the Temple regularly. No arguing - This was a hard one, especially for me and my older brother. Sometimes, Mom would make us sing our arguments to each other, which always ended in laughter, or both of us getting over it, saying sorry, and walking away. Avoiding idle time - Mom said, "I found that too much idle time is not good for anyone and will drive the Spirit away. Work, setting personal goals, and developing talents, serving others, or something worthwhile will help anyone feel like a worthy person and help them feel the spirit." Physical Environment - Organized, some beautiful things, low voices, good literature, art, music, movies, games, uplifting conversation, etc. Support each other - families that support each other in important activities build love and unity. The one thing that is necessary in all that we do as families, Mom said, is to be consistent. Elder Bednar, a general authority of the Church of Jesus Christ of Latter-Day Saints, said that while no one episode of FHE (family home evening), scripture study, or family prayer may seem especially memorable or even successful, "our consistency in doing seemingly small things can lead to significant spiritual results." Our family wasn't perfect. My brother and I fought. All. The. Time. We did dumb things like dying our hair orange or sneaking out of the house, or even taking pocket knives to school in kindergarten for show-and-tell (uhh... that wasn't me...). Sometimes Mom didn't have dinner ready when Dad got home. Sometimes Dad wasn't very patient with the mess when he got home. I could never say with any ounce of honesty that I had a perfect family that always did the right thing. What I can say is that we always tried. I can say that when we did do the the things that Mom and Dad mentioned, and did them consistently, our family was happier and we got along better. And I can say, that all of us knew that Mom and Dad loved us unconditionally and expected the best because they knew who we really are. I know that it's because of those times that we were persistent in staying close to the Lord that when trials came, His Spirit was able to stay close to us. I feel so blessed to have grown up in the home I did and pray every. single. day that Andrew and I will be able to do for our family what our parents did for us. I hope that if you're wondering what you can do in your family to make it through the hard times that these lists and examples help. I hope that you remember that the time to prepare for trials is not during the trial, but now. Consistency is difficult, but it's important, and well worth a shot. Good luck with your families and don't forget, "Hard is good," even if you've "never seen a silver lining without a dark cloud attached to it!" Beautifully written, Sue! Kent and I read this together and LOVED it! Thanks for sharing the things mom and dad shared. We really appreciated it. I'm so glad that you and Kent got to read it and hear what Mom and Dad taught about how they did what they did. It helps me feel like I have some direction in my parenting and gives me hope for the future.